Ezy Driver offers a specialist service for local & international government, corporations or individuals. Using only our finest drivers & vehicles we provide a private & professional service at very competitive rates. 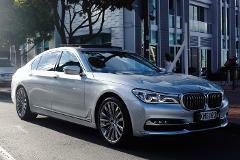 Our new BMW long wheel base sedans enable us to provide a premium chauffeur service at a level suited for VIP's, government or private individuals looking for the highest level of personal service and comfort. Ezy Driver offers a specialist service for individuals, corporations & groups. Book one of our luxury chauffeur driven private minivans complete with Wi-Fi and refreshments. Explore New Zealand in our 2017 Mercedes V250 models. Compact yet practical and ideal for small groups looking for a bit of luxury and style. Flexible for city transfers or multi-day private tours. Explore New Zealand in our brand new 2016 and 2017 Mercedes Sprinters. The ideal choice for business clients, VIP's or groups where the ultimate in privacy and comfort is required. 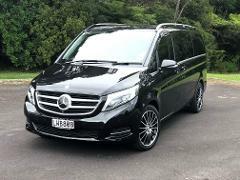 For corporate transfers or exploring New Zealand in style, our flagship 16-Passenger Mercedes minibus is a cut above the competition. A true first class class interior configured in the UK with no expense or extras spared. Ezy Driver has a diverse team of professional drivers capable of driving any vehicle for any occasion. A chauffeur for your own or hired vehicle. Popular for corporate events, rental car returns and many other uses.